Revengeofthe5th.net: Greedo Actor Paul Blake is Coming to DFW Area on June 13th! Greedo Actor Paul Blake is Coming to DFW Area on June 13th! 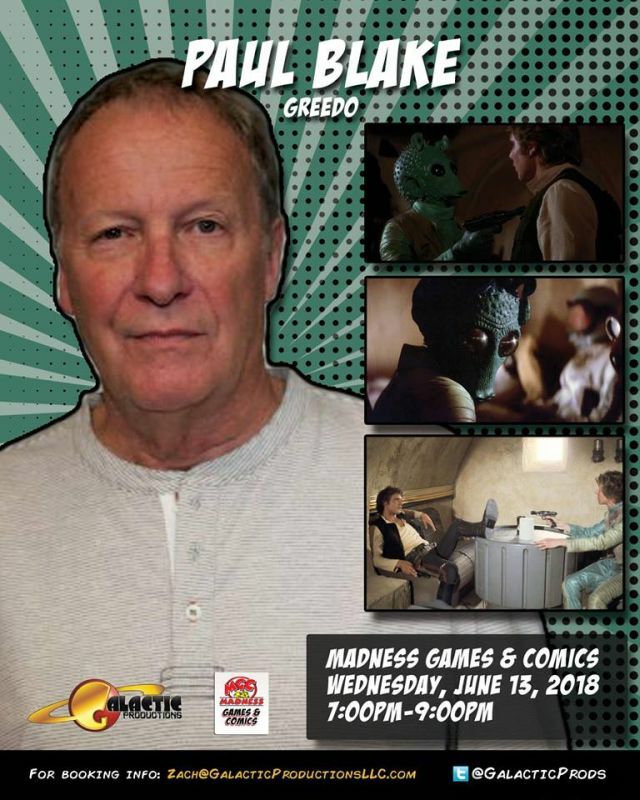 Madness Games and Comics in Plano, TX is excited to announce that Paul Blake, best known as Greedo from Star Wars: A New Hope, will be on site doing signings from 7:00 PM - 9:00 PM on Wednesday, June 13th!